For many applications, a downdraft table is the ideal source capture. 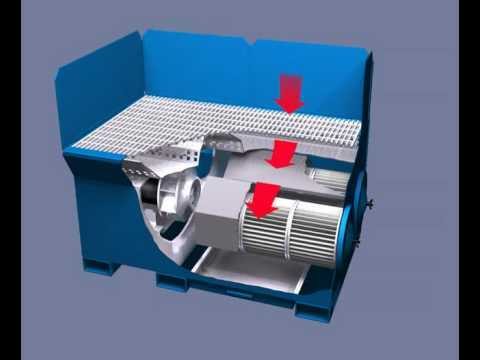 The worker has free, open operation over the worktable surface and gravity works with the blower to pull contaminants into the dust collector, away from the worker's breathing zone. Downdraft tables are used for a broad spectrum of particulates, including wood dust, composite dust, fiberglass dust, marble dust, plastic dust, other metals, and also welding and soldering smoke and fume. We also offer downdraft tables that can be integrated into any central dust collection system. Downdraft tables are used for sanding, grinding, deburring, buffing and finishing, polishing, mixing, welding, and soldering. Hastings Air Energy Control provides tables specifically designed with panel filters for woodworking operations, and also offers the new Easy Bench (also with easy-maintenance panel filters) for all kinds of close, fine detail work, from surface finishing to lab applications.